After prayerfully and honestly examining our hearts, we can all admit we like control. We like believing we are controlling the events, time, and even people around us. This is especially true in families with addiction. Family members believe they need to be controlling every aspect of your life, people and circumstances, in order for it all to stay together and not fall apart. Some thought processes include “I need to control the people and circumstances around me so that everything can be alright” and “If I don’t take care of my addicted family member or try to fix them, I am afraid of what might happen.” We try so hard to balance everything in our lives that we end up burnt out, disappointed when things fall apart, and striving for a man made perfection that cannot be reached. Even though we do not intend it, we are “playing God” and trying to make our circumstances occur in our own way. Thankfully, we have an alternative to an exhausting drive for control by trusting God. We have a high priest who can sympathize with our weaknesses, but is still a perfect example of trust. 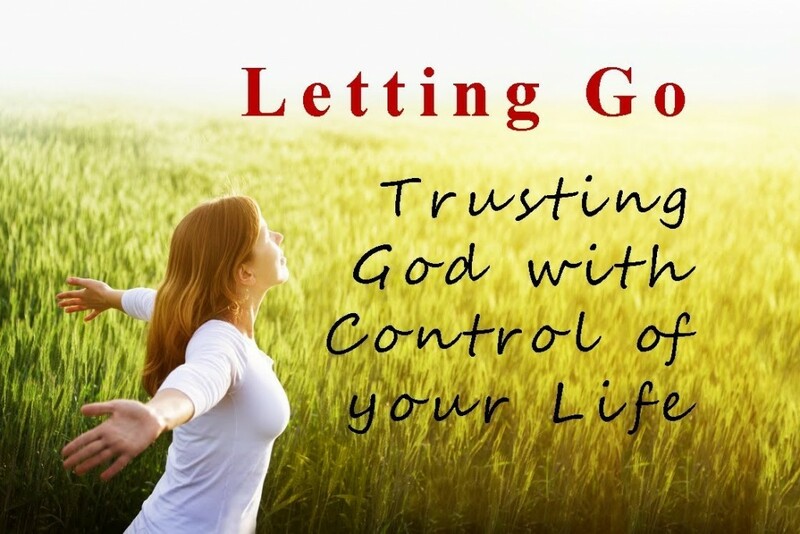 (Hebrews 4:15) By taking our control off of situations and allowing God to deal with my circumstances, including the addict, we can rest from the chaos and know that He has a will for our lives (Ephesians 1: 4-6). We have a peace when we listen to God and his plan for us (Psalm 46:10). Scripture tells us when Moses did not understand what God was doing in Egypt, God responded by telling Moses “The Lord will fight for you. You need only to be still” (Exodus 14:14). We have communion and a relationship with Him when we cry out to him in our weakness and He is able to do big things through our weaknesses (2 Corinthians 12:10). Trusting God is a vital piece of walking with Him, especially through hard times. Though it may not be easy and you may struggle, God will be with you in that struggle and knows you are struggling. He wants to fight for you. He has a plan for you.